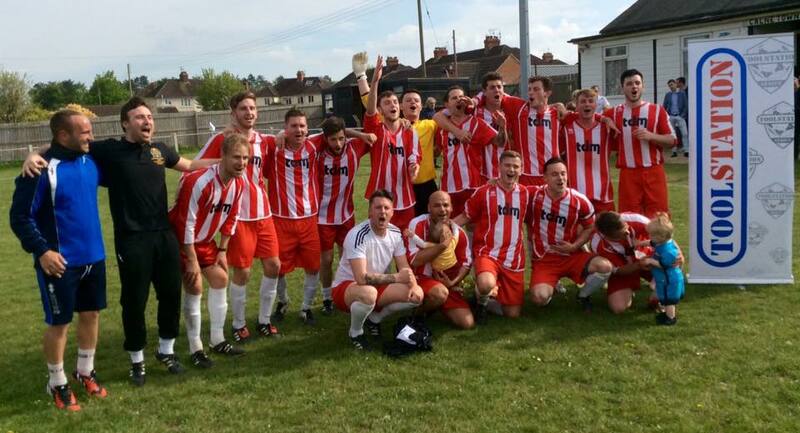 The potential champions arrived at Bremhill View knowing a seven goal thriller would be enough to see them champions if the other potential champions, Wells City failed to score and their encounter at Oldland finished goal less or a loss. Well, Calne’s visitors took no chances. Their first shot, albeit over the cross-bar was as early as the 5th minute. Every time Calne attempted to enter the Sodbury half of the pitch, they were forced back into defence. It took Sodbury just 10 minutes to take the lead when attacking up their left, the ball was crossed to the middle and Justin Bishop caught it on the volley and with a peach of a shot to bury it in the net from 20 yards. 3 minutes later, same again from a volleyed shot but this time Nathan Phillimore in the Calne goal palmed over the bar. On the attack again in the 19th minute, Sodbury’s Dave Sims met a cross with his head but it was straight at Calne keeper, Phillimore. Calne held the visitors at bay for the next 15 minutes or so but in the 37th minute, Lilywhites Mark Dolman saved Calne’s blushes by heading their attempt wide of their target. We got to half time and the Calne’s oppositions shot stopper had not had a shot to save and so it was 0 – 1 at the break. After the restart, Sodbury doubled their tally within a minute or so as Sam Jenkins scored with ease. Calne continued to push but on the hour mark, it was a free-kick on Sodbury’s left, some 25 yards out saw the ball put into the box. Not a solitary soul followed the flight of the ball which ended up settling in the goal to Nathan Phillimore’s left giving the visitors a 3 goal lead. 4 minutes later it could have been more but 2 shots in succession hit the same upright. We only waited 9 minutes more and this time it was Sodbury’s Dave Sims turn to get on the score sheet when Phillimore came for a ball but Sims took it to the by-line and dribbled around the keeper to score his first and Sodbury’s 4th. Within 30 seconds, Sims received the ball and ran solo for some 35 yards to score his second and the visitors 5th. Calne did break out once causing the visiting keeper, George Hales to catch a cross but it was back to the opposite end from the goal kick for Justin Hales to run on to and score his second and Sodbury’s 6th. 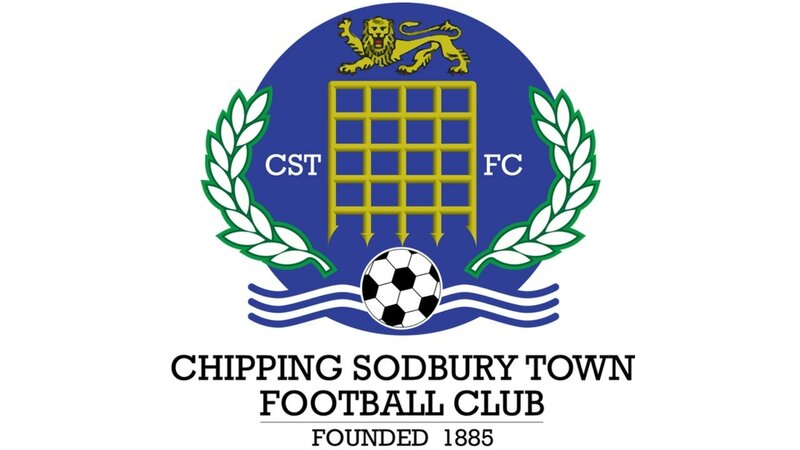 Well done Chipping Sodbury from all at Calne Town F.C.